Elena Abraham, who works at CCT Mendoza, and other experts from all parts of the world participated in the study of arid zones. The third edition of the World Atlas of Desertification (WAD3) was published after almost twenty years of the second edition. The atlas, a comprehensive evaluation of the earth’s degradation situation at international level, was conducted by scientists from the entire planet and one of the main authors of the atlas belongs to the National Scientific and Technical Research Council (CONICET). The study was coordinated by the Joint Research Center (JRC) of the European Community. Elena María Abraham works at the Argentine Institute of Arid Zones Research (IADIZA, CONICET-UNCuyo-Gov. Mza) and is the only Argentine that is part of the main authors and consultants of this document that included the analysis of experts from more than thirty universities and scientific institutions like the National Observatory of Earth Degradation and Desertification (ONDTyD), in which Abraham is the scientific coordinator. “The World Atlas of Desertification establishes correlations between different case studies done in all the world. The contribution of the national observatory was based on one specific case in Chaco seco in Argentina and the importance of the creation model of the observatory. It also included the current local and national results of this system that belongs to the Institutional Networks Oriented to the Solution of Problems under the scope of CONICET”, Abraham describes. 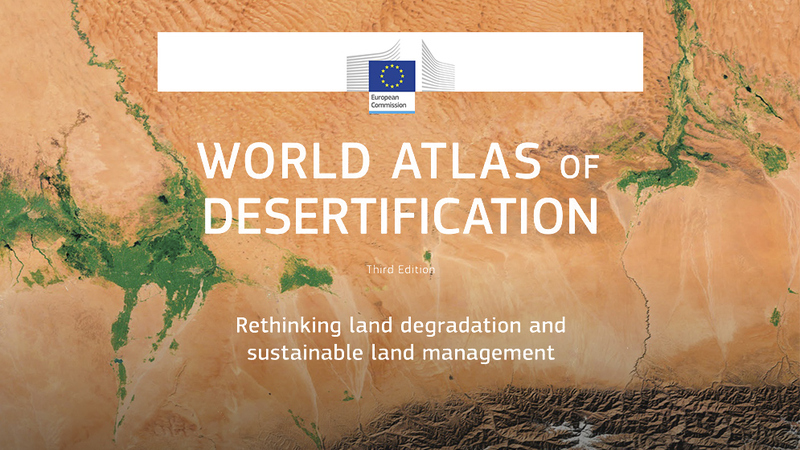 Unlike its predecessor, the World Atlas of Desertification does not represent only one map of desertification, it also redefines the earth’s degradation as a problem that involves complex interactions between social, economic and environmental systems providing information as a source of solutions to specific local realities. The atlas is free and can be downloaded here. The WAD3 is financed by the European Commission and sponsored by the United Nations Convention to Combat Desertification (UNCCD).